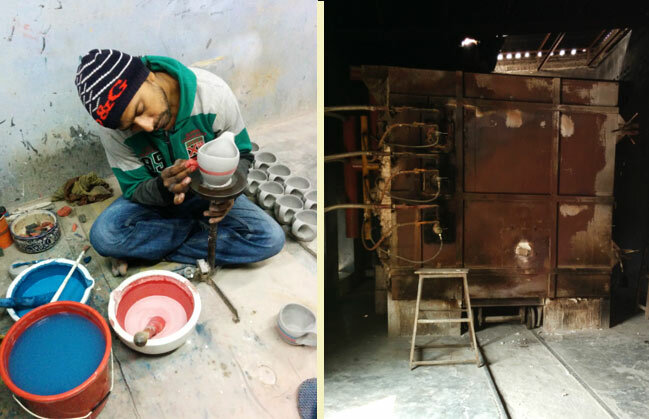 Khurja is one of a kind place that homes hundreds of hand skilled potters. It is situated 100km from Delhi. 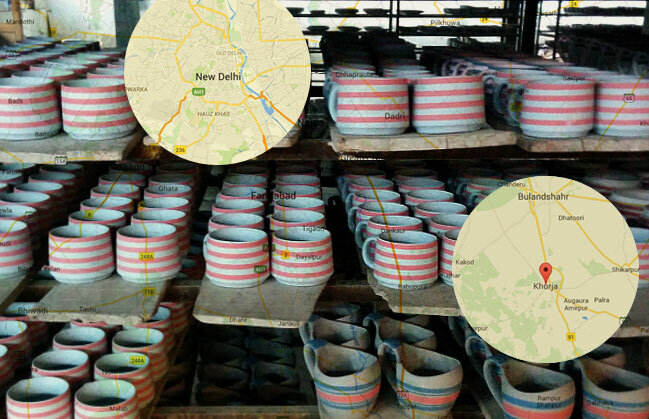 Being a small town of Uttar Pradesh, it supplies a large portion of the pottery used in the country. 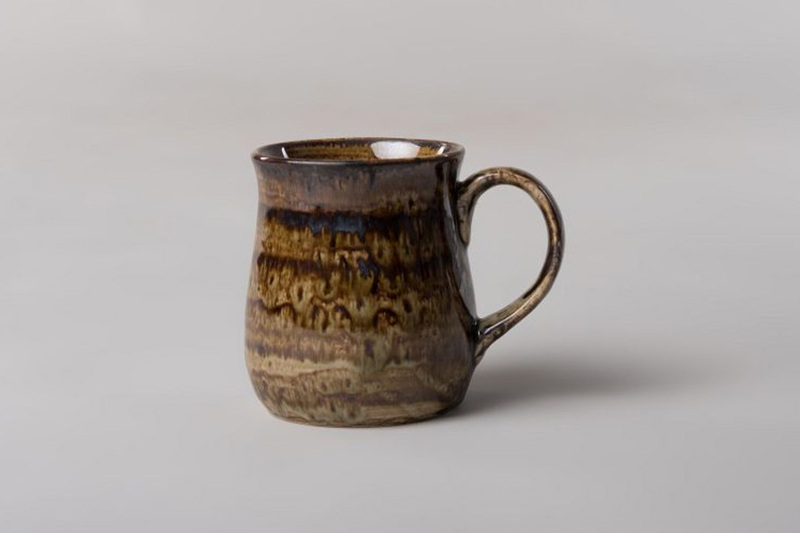 The unique factor of its splendid pottery is that in spite of being hand-made and hand-painted, it is reasonably priced. Several hands contribute to bake the lead free piece of art. 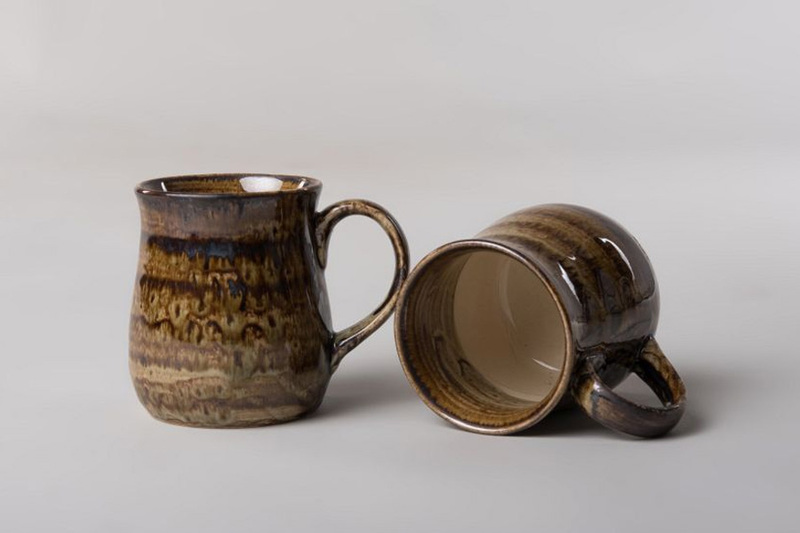 A series of steps enables many users to use variety of hand crafted pottery products to satisfy their myriad demands. 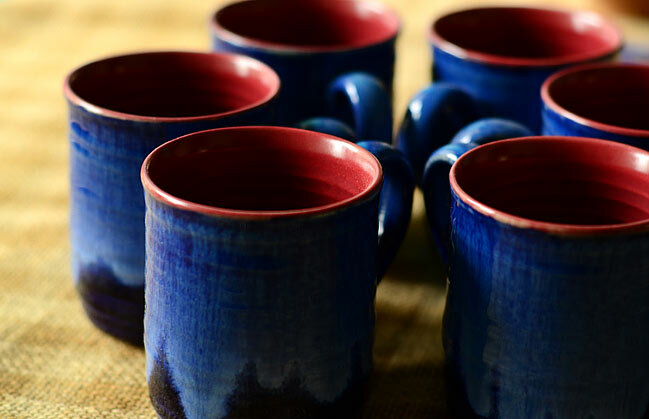 Be it a coffee mug, a deco vase, soap dispenser or a planter, studio pottery appeals its consumers to display their likes to the outside world. 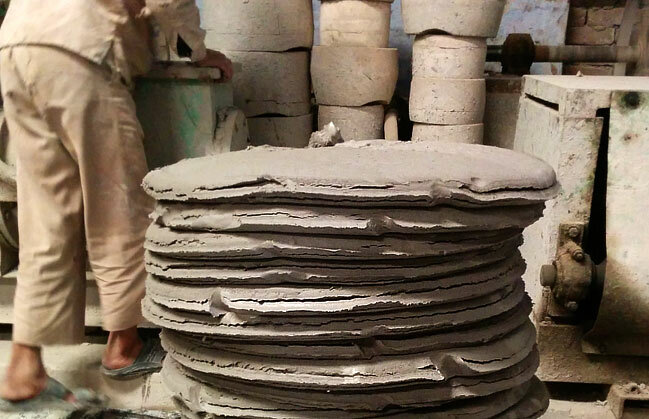 The clay batter is created initially and is made into circular sheets. These sheets are again churned to a uniform mix. Now, the mix is made into cakes and transferred to hand set into different cavities shaped in mugs, bowls, etc. Next, the clay form is taken out from the cavity and thereafter taken to the artists who give them colour. After painting the forms, they are left to dry a bit and further sent to Kiln for baking at 1200 Centigrade temperature which bakes the product to a level making it micro wave proof. Both exports and imports demand are on the rise. 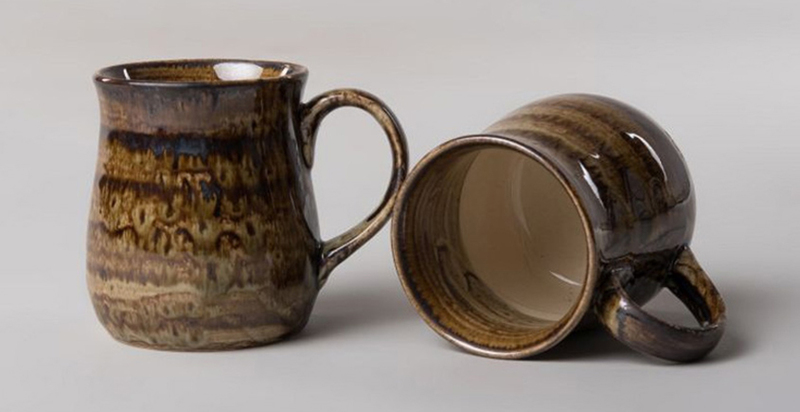 There is also an influx of designers who are giving new design inputs to potters. Though traditional craft is the loser, the modernization has increased its market prospects, especially in the hospitality industry. 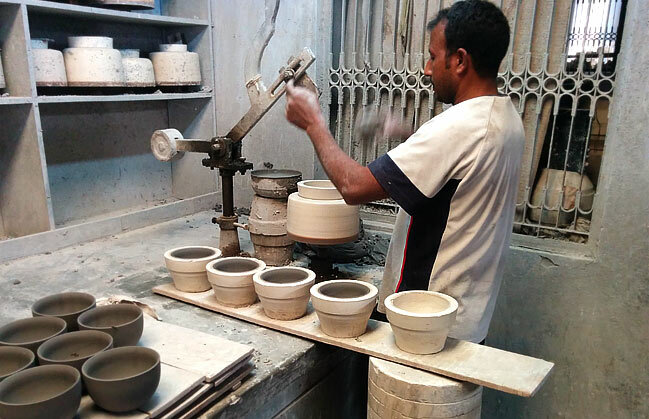 Khurja is one of a kind place that homes hundreds of hand skilled potters. It is situated 100km ..